When travel journalist Bill Clevlen comes to Winterset on July 13th to present his recent book, 100 Things to Do in America Before You Die, it will actually be a return trip to one of the book’s featured locations. “She [Kayla] hosted the small gathering in the couple’s backyard and made me wish every big city and small town showed this much hospitality and kindness,” Clevlen said. Photo by Bill on the Road. Written to inspire road trips across the country, complete with trivia questions to keep the passengers busy, 100 Things to Do in America Before You Die is a book that highlights the best our country has to offer, and not just the big things. It’s is a fun guide to understanding the complex fabric of the United States and the people that call it home, as well as a catalogue of uniquely American experiences. From sipping on southern sweet tea to standing where the Wright Brothers tested their first “flying machine,” each experience makes up an important piece of our American story. In it you’ll find an enlightening mix of history, entertainment, art, food, sports, and places to cross off your “selfie” bucket list: mountains, museums, fried chicken, small towns, important sights like the world’s tallest mailbox, and more. I’m especially fond of this photo of Ben Franklin from Bill on the Road. 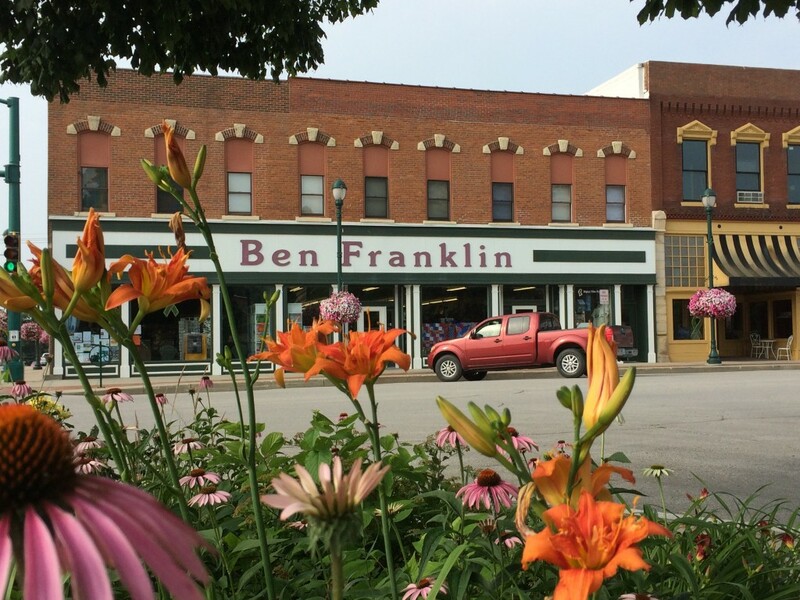 Bill, if you’re reading this: My parents own this store, on the square in Winterset since 1939, with just two owners in its entire history. There’s a story for you! Bill Clevlen is a broadcaster and national travel writer based in St. Louis, Missouri. 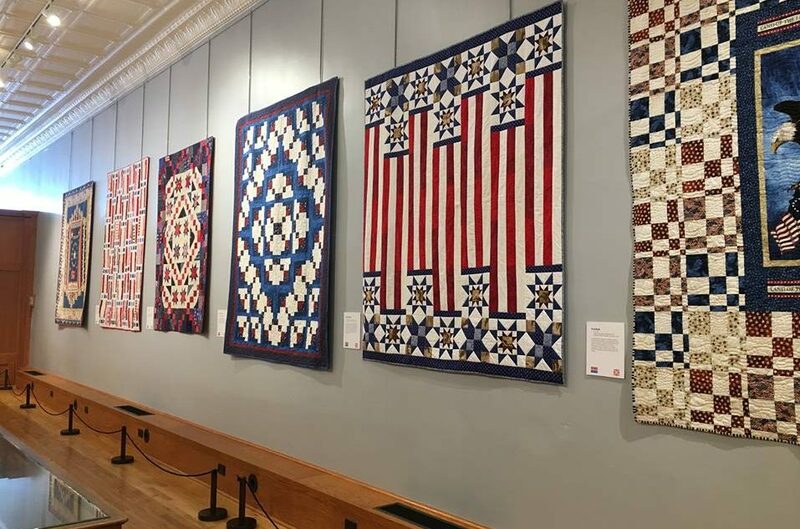 He can be heard on radio stations across the country and hosts a podcast called Rediscover America that features road trip ideas and uplifting American stories. He’ll be presenting and signing books at The Iowa Theater at 7:00 pm on Thursday, July 13th. The event is free and open to the public. Hope to see you there! 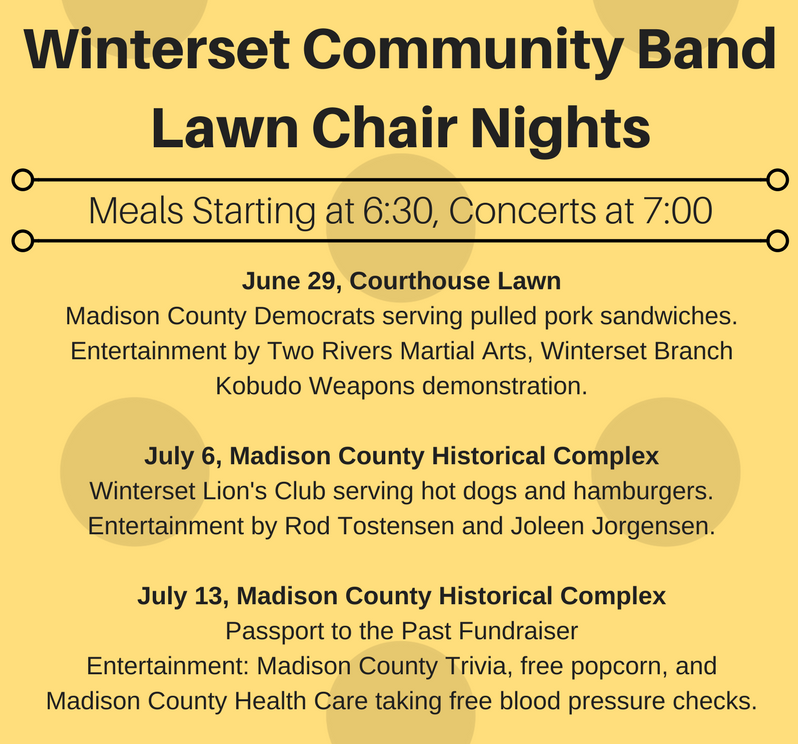 Tonight’s Lawn Chair Night on the Winterset square will have concessions offered by the Madison County Democrats at 6:30 pm, and the Community Band concert beginning at 7:00. 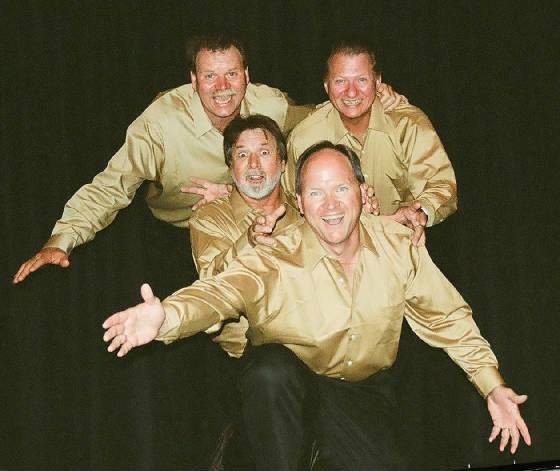 During the concert’s intermission, entertainment will be provided by Two Rivers Martial Arts. 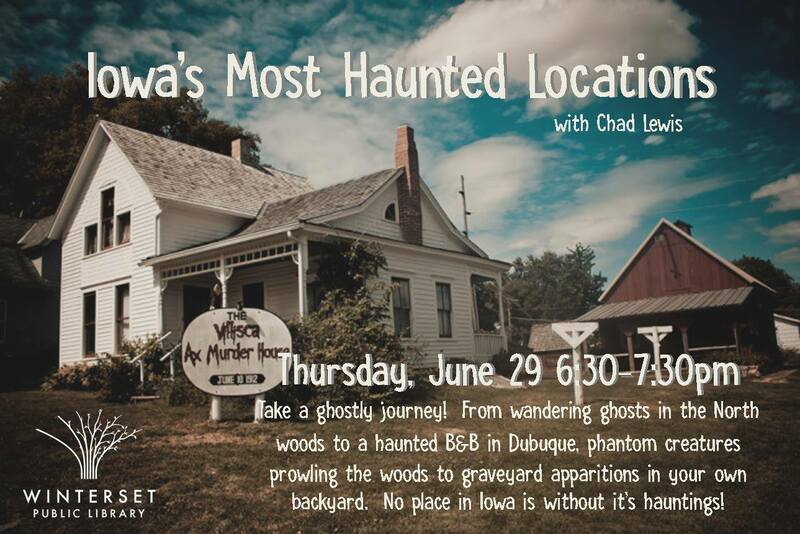 The Winterset Library is hosting Iowa’s Most Haunted Locations this evening with Chad Lewis, from 6:30 to 7:30 pm. 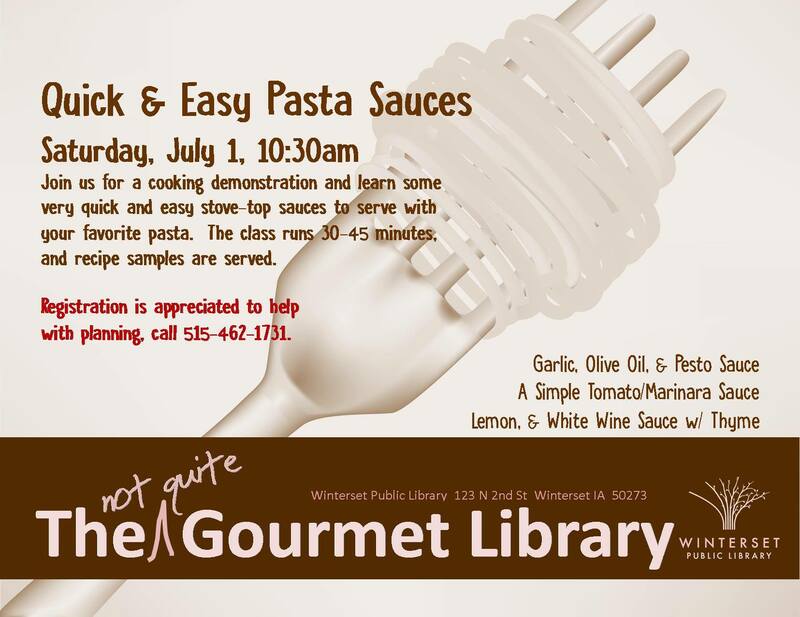 The Winterset Library is starting a new cooking demonstration series this Saturday. 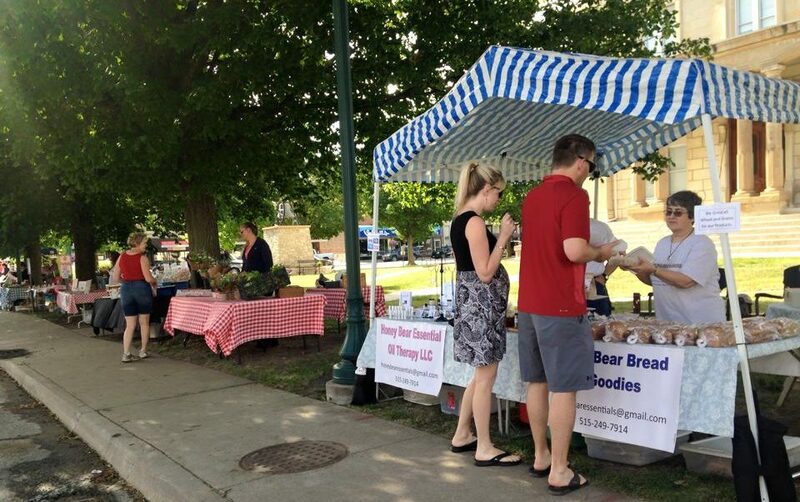 Future events in the “Not Quite Gourmet Library” cooking series by Annie Nau will include Light Summer Salads in August and Cooking with Berries in September. On Saturday evening, July 1st, Rodell’s Smokehouse invites you to enjoy Bike Night from 4:00 to 8:00 with vendors and Chad Elliott providing music. 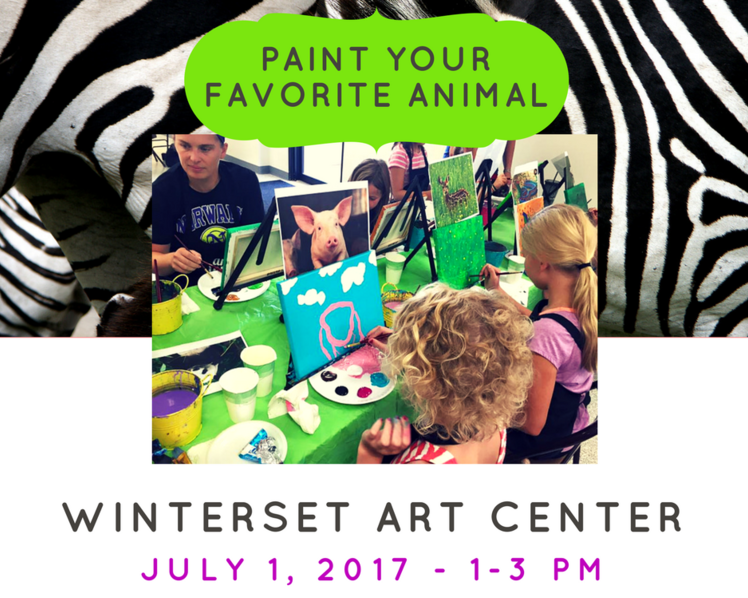 The Winterset Art Center will host a Paint Your Favorite Animal Class on Saturday, July 1st from 1:00 to 3:00 pm. Kids from kindergarten and up are invited, and parents can join in too. Bring a picture of your favorite animal or choose one from their stash and learn how to bring it to life with paint. Instructor Lucinda Sperry of Art Love Studio will guide you with step-by-step instructions. The class fee is $25 per child/parent, and all supplies are provided. Class size is limited. You can register and pay online to reserve your seat here. Registration ends tomorrow (Friday, June 30th) for the Winterset Parks & Recreation Department’s annual Junior Fire Academy. Offered to boys and girls from 3rd-5th grade, this mini camp is held on the mornings of July 10-12 from 9:00 am to noon at the Winterset Fire Station. 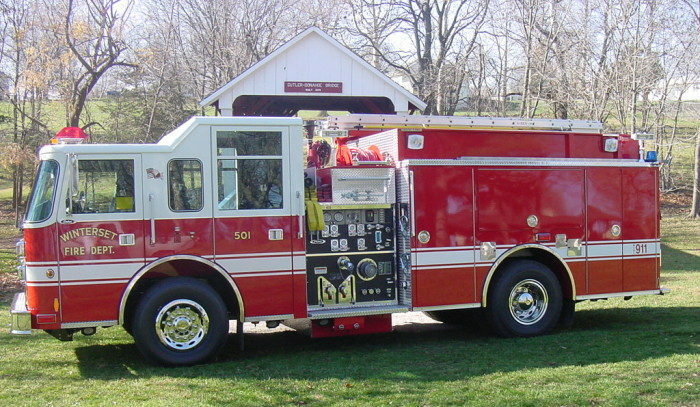 Participants will learn about fire safety, fire fighting techniques, and the firemen’s equipment. Fee $20.00. 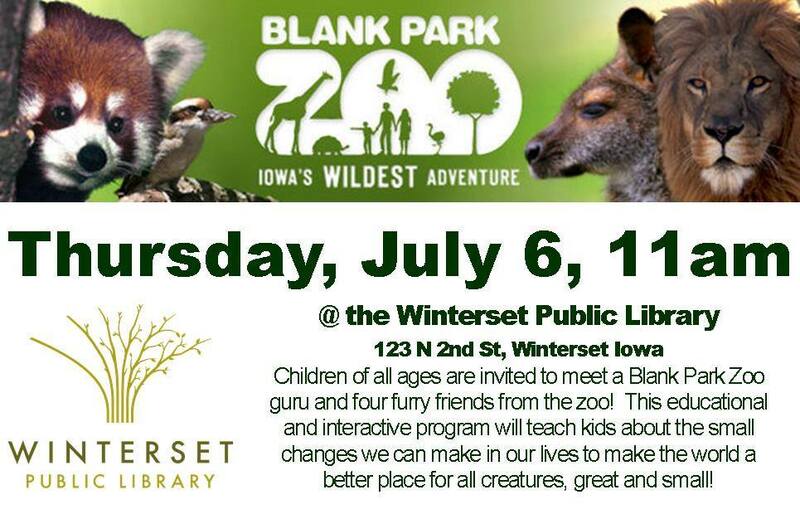 Click here to register or call WPRD for more information; 515-462-3258. The Winterset Cidery will have live music on Saturday night by variety rock band Hold On from 7:00 to 10:00, and barbecue by Up in Smoke (brisket, pulled pork and more). 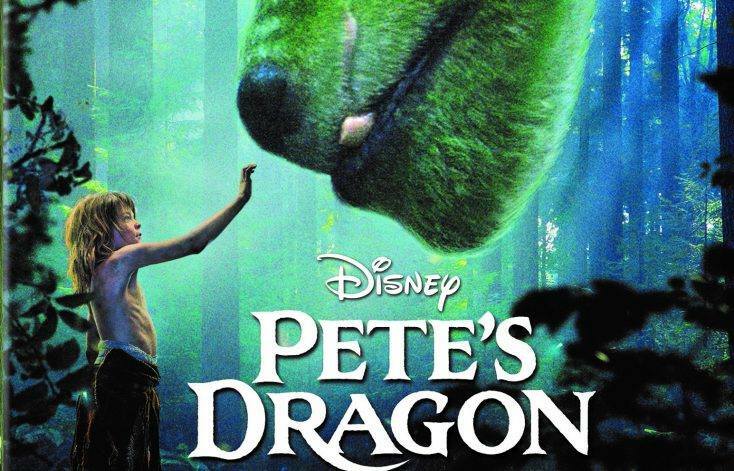 2:00 pm Monday movie pete’s dragon For all ages – Beat the heat and join us Monday afternoons for Monday Movies! They are free and open to the public. Bring a blanket or pillow for comfort. 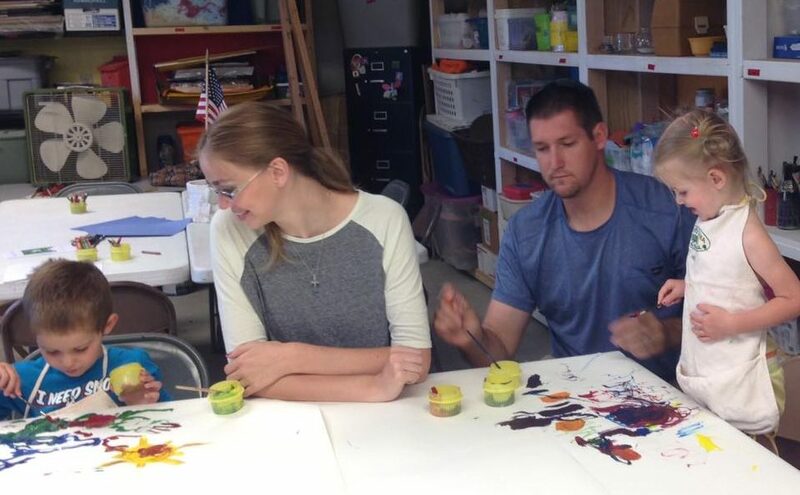 The Winterset Art Center is offering a Parent/Child Creative Play Experience for kids of ages two and three on Friday morning, July 7th from 9:00 to 10:00 am. The staff will provide a variety of engaging activities for you and your child to experience together. This workshop will include a seek and find activity station and a shaving cream art station. They will also use feet and hands to create beautiful printed artwork. Be prepared to get a little messy and have a lot of fun! The class fee is $5 per child for art center members and $6 per child for non-members. Pre-registration is required, so please contact wintersetart2016@gmail.com to make sure space is still available and register your child. Also note that parents or guardians must remain with their children for this workshop. Food safety basics are critical skills for any food handlers serving or preparing food for concession stands or county fair food booths. 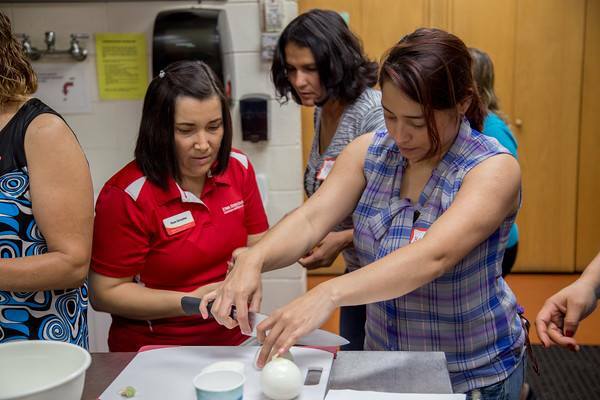 To prepare families with food safety skills, Madison County ISU Extension is offering a one hour SafeFood course for adults and youth who currently work or plan to work in concession stands (such as at the county or state fair), and for those who donate food items. Two sessions of this free, one-hour course will offered at Madison County ISU Extension Office, 117 N. John Wayne Dr., Winterset on Thursday, July 6 from 6:30-7:30 p.m., or Saturday, July 8 from 10:00-11:00 a.m. Certificates will be provided to attendees who complete the course. This course may count towards one hour of 4-H members required six educational hours. During this hour-long course, participants will learn about cleaning and sanitizing principles, health and hygiene, and temperature controls. The purpose of this program is to ensure food prepared away from home is prepared safely in a clean and sanitary environment and by workers that follow best practices. For more information and to register for this program, please contact your local Madison County ISU Extension and Outreach office at stessmer@iastate.edu or 515-462-1001. 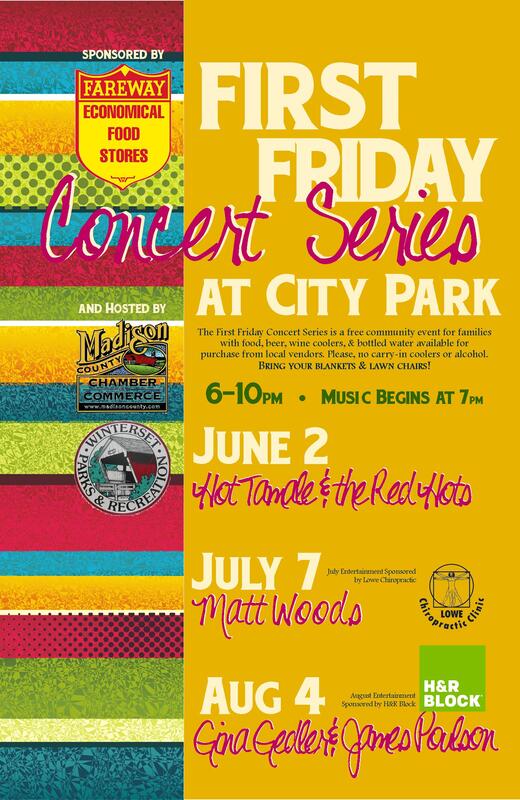 The second “First Friday Concert” of the summer is scheduled for July 7th from 6:00 to 10:00 pm in Winterset City Park. The evening’s entertainment, Matt Woods, will be sponsored by Lowe Chiropractic Clinic. Hot food will be available for sale by Rodell’s Smokehouse, as well as beer, wine coolers, and bottled water. Bring your lawn chairs and blankets and enjoy. 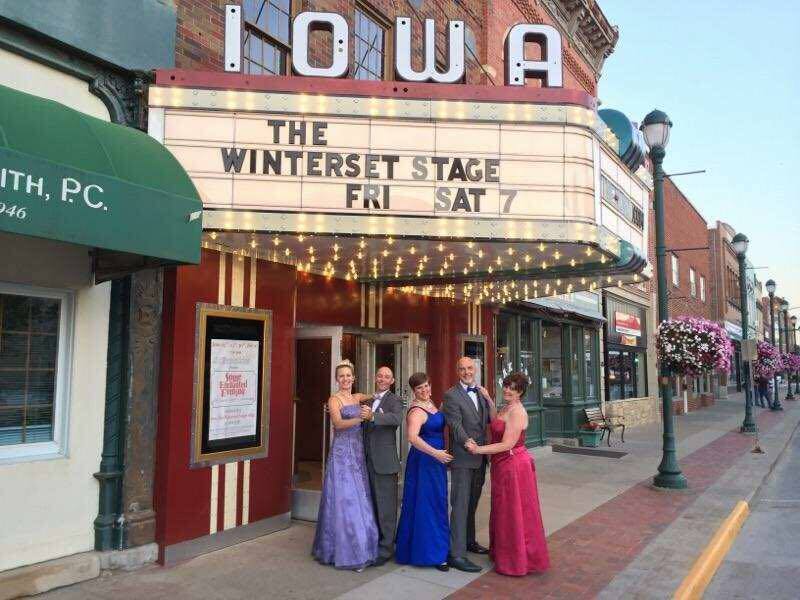 Finally, congratulations to The Winterset Stage on their first successful weekend at The Iowa Theater! 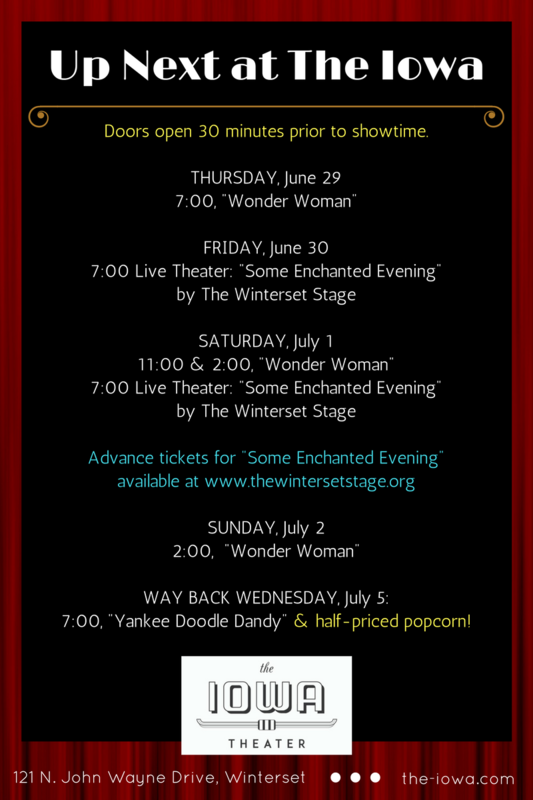 If you haven’t seen it yet, be sure to get your tickets for this Friday or Saturday’s presentation of Some Enchanted Evening before it’s gone.